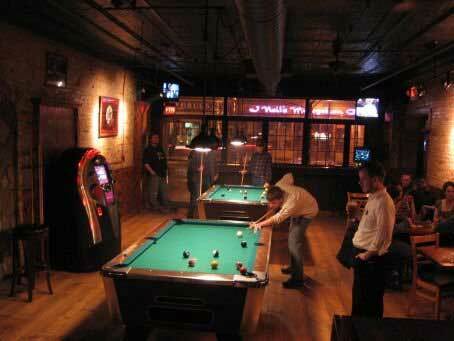 The Tap Room is a place that you can walk in and feel comfortable right away. The Tap Room was originally owned by John Farres who opened his doors in 1941, the same year the bomber plant was opened. But in 1993 the bar fell on hard times and Farres listed The Tap Room for sale. When Brian Brickley saw the listing he called his wife, Lisa, at work and said, “Hey honey I found a bar we should buy” as a joke. About ten minutes later Lisa called back and says her boss is interested in buying with us. At the time she worked for Jeff Kuhns, the owner of Heritage Appraisal who was known to never shy away from an adventure. When Brian, Lisa, and Jeff went to look at The Tap Room they found falling trim, broken furniture and fluorescent light fixtures throughout, but no one could deny the beautiful woodwork, history or location. After purchasing, they closed the bar for 3 months to remodel during which they updated flooring, paint, and a new kitchen while making sure they took care to preserve as much of the history as possible. 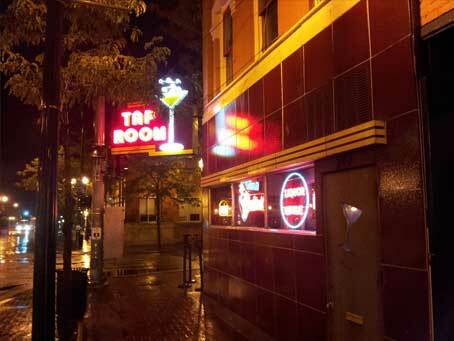 During the 1990s, the Tap Room was one of Washtenaw’s music hot spot. Performers like Johnnie Bassett, Al Hill, Steve Nardella, Robert Jones, Lady Sunshine, The X-Band and George Bedard played regularly to full houses, and Chris Buhalis’s Monday night acoustic jam session was the stuff of legends. About this time the restaurant located next door to our building was available for purchase so we purchased and renamed it to the Annex with hopes of one day combining the two concepts. In 2009, we combined the two concepts to maintain the community and atmosphere within The Tap Room with the amazing food at the Annex. 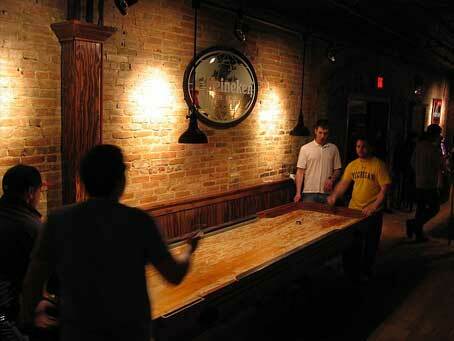 Nowadays The Tap Room is still known as your neighborhood bar with great drinks and great food! From Comedy, Boylesque or Pool there is something for everyone at The Tap Room.